Today the pool cafe, all be it with limited options due to electricity supply problems. 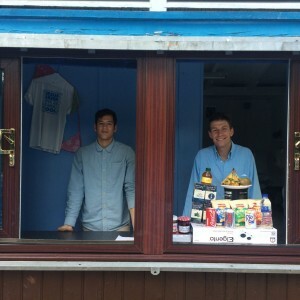 Two budding entrepreneurs, Rickie & Will have taken it on for the season. They certainly seem very enthusiastic and on the ball. We wish them well in their endeavour. This entry was posted in News on June 12, 2014 by GJ.